How do I promote high order thinking in my classroom? How to digital tools affect this? 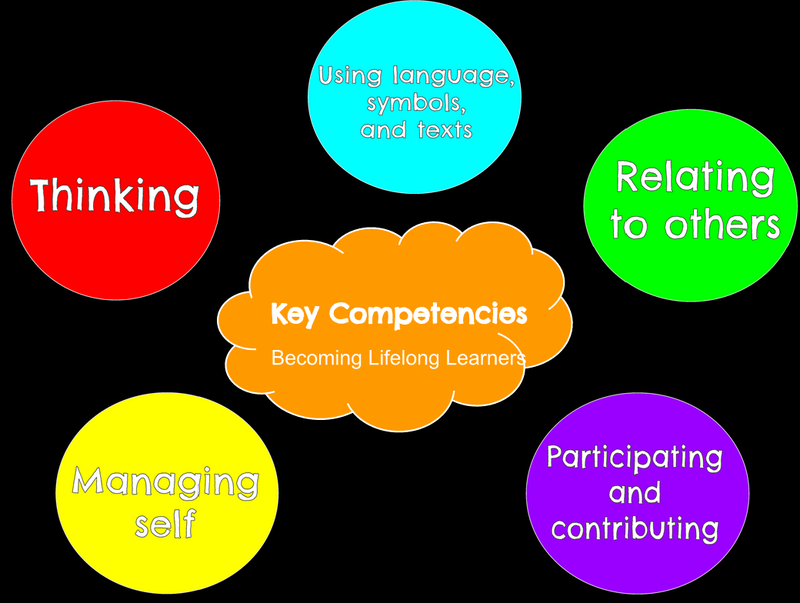 I am in the process of integrating the NZC key competencies in my classroom. As a class we have all discussed, understood, and have been using the key competencies through behavioral and social situations. For example prompting the kids to think about what KC's they need or needed to use in certain situations. 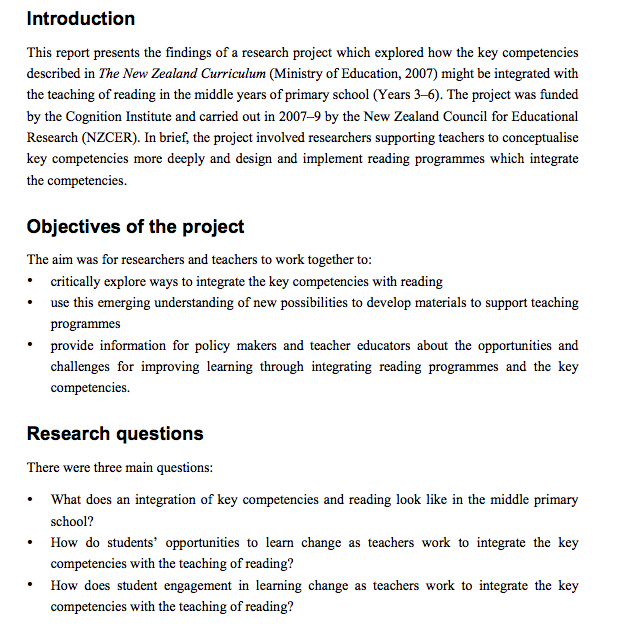 A simple google search of 'how to use key competencies in the classroom' led me to this amazing research project which involved a few schools working on integrating key competencies in reading. Lifelong Literacy Twist, J. and McDowall, S. (2010). Lifelong Literacy: The Integration of Key Competencies and Reading. The study was featured in the NZC update newsletter issue five. 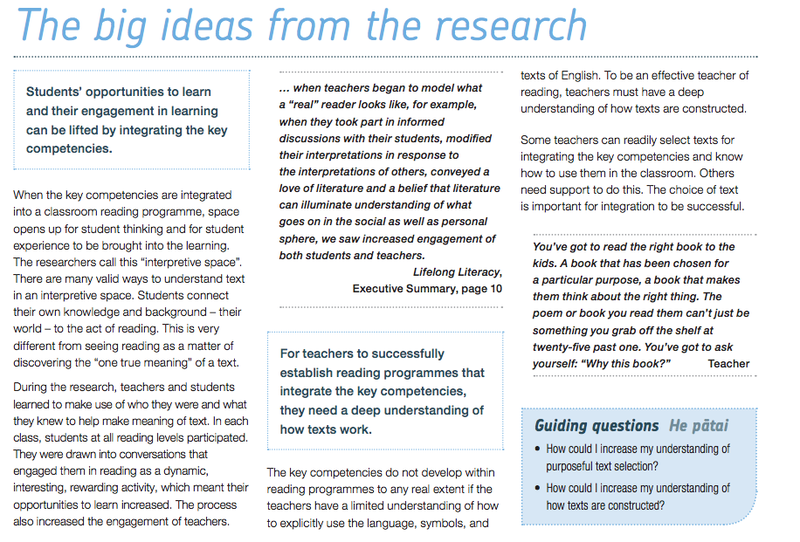 An easy to read version of the report, which really highlight the benefits of integrating the key competencies and reading. - Using the KC’s in reading opens up the opportunity for student thinking and students experiences to be brought forward. - Teacher models themselves as readers, share their own passion, show that they are literary critics. - Look at the text as a whole and make connections, as opposed to look at the main idea of the text. - Giving the opportunity for to kids to explore the author's meaning/message. Preparing them to be 'literary critics' actively participating in a community of practice. - Teachers wanting to move kids away from literal to critical thinking. - Looking at news articles could provoke discussion - viewpoints on a subject - working only on two opposing views - recognising views and questioning them. - Critical thinking - can apply really well to articles and current events - Must apply in writing. - Exploring how characters feel. - Getting kids to feel empathy towards characters and relate it to their own world. - Support students to match emotions to those actions. Link to reading lesson plan developed by the researchers and teachers. In what ways might I change my teaching practice to fully integrate the key competencies into my classroom programme? - Model myself as a reader and a literary critic. - Discuss texts, think about the authors message. - Share responses and contribute to the discussion as a reader of the text. - Maintain the balance between responding as a reader and providing guidance as a teacher. - Listen to students in an open way. - Slow the lesson down, allowing time for conversations. - Model how to be empathetic to characters in the story. - Match character actions to emotions. - Gift in language that describes the emotions. - Support students to relate the character’s predicament to their own lives. - Respond to an article that kids can relate to, such as something that is happening in our community. - Get students to respond and share points of views. - Choose topics on which students see the need to generate knowledge. - Choose texts that provide something to think deeply about. - Ensure students are encouraged to express their views and are able to do so safely. Now my next steps are integrating fully in my literacy programme. Kia ora, I am Kimberley Ouano. I taught in a 1:1 digital environment for 3 years in Auckland, New Zealand, and am now teaching London, England in a book based classroom with limited technology! Last year I had been selected as part of the Manaiakalani Innovative Teacher Academy 2014. I was given the opportunity to inquire into my own practice, with the amazing support of the Manaiakalani Education Trust and the Telecom Foundation. My inquiry question was... How do I promote high order thinking and cognitive engagement in my classroom, whilst supporting those who struggle when it comes to developing key competencies? My journey continues here London, however my pedagogy has now been challenged with minimal technology. Is it still possible to provide rich and high order learning experiences with a smart board and 10 laptops? Is 'Learn, Create, Share' still possible? Let's find out!